Opulence Stoves are suppliers and fitters of a range of stoves throughout the Suffolk area. We have two showrooms with a range of beautiful contemporary or traditional stoves available for the home. 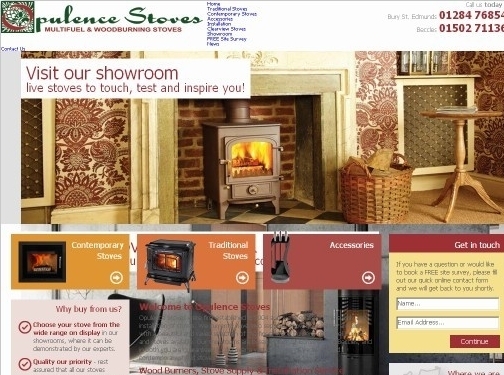 UK (Bury St Edmunds) based company - established in 2004 and with highstreet showrooms - providing stoves for sale. Website includes details of products provided, associations, videos, full company contact details.